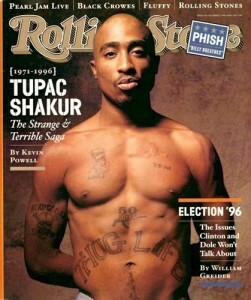 Makaveli Conspiracy Theory – Tupac Alive And To Return In 2014. September 13, 2014 will be the 18th anniversary of Tupac Shakur’s murder. Many people can still remember exactly what they were doing the evening of the tragic shooting. Now, I have never given much thought to any of the conspiracy theories concerning this, but I do enjoy a good one nonetheless. Recently I have been reading many of these ‘Tupac Conspiracy Theories’ and watching videos about them. I have to admit, there are a lot of solid facts out there that definitely add weight to the theory that Tupac faked his own death. Nicclo Machiavelli, was an Italian strategist, and author. In one of his more famous works, Machiavelli wrote of “faking one’s own death, to fool an enemy.” Tupac was a fan of Machiavelli, and read his works over and over again while serving time in an upstate New York prison. Was Tupac following the advice given in Machiavelli’s writings? In Machiavelli’s writings, he fakes his own death at age 25, and then returns at the age of 43. Tupac also died at age 25, and Tupac’s 43rd birthday will be this year 2014. Now, I don’t want to spoil this very interesting documentary, but there are so many good points that it really makes you think. The missing keys, the cars that don’t match, the doctors prognosis, and mysterious pictures from Cuba just to name a few. The entire video is less than 9 minutes, so there is a ton of information packed into this short video. Check it out you won’t be disappointed. Then share and comments and let everybody else know what you think! CLICK HERE —> TO LIKE DAILY BUZZ LIVE ON FACEBOOK! WARNING: Do NOT Use Crest 3D White Toothpaste! Marine Life Being Affected By Fukushima Radiation And Its Worse Than We Thought!